Lock in a great price for Il Sole – rated 8.7 by recent guests! The hotel was perfect. 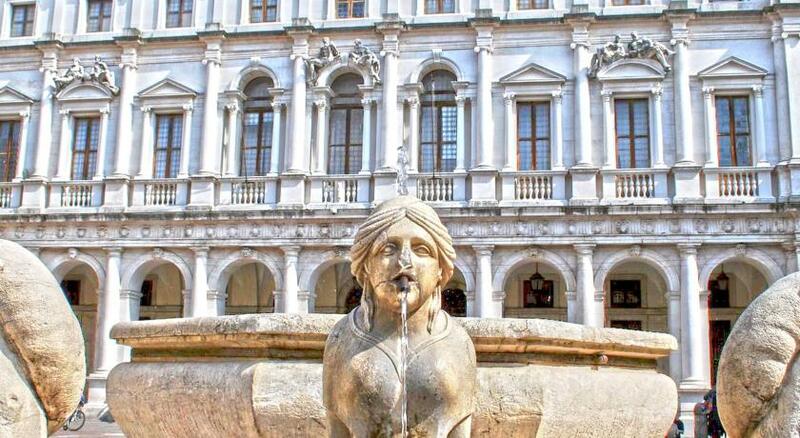 A wonderful location next to the Piazza Vecchio in old town. The hotel restaurant was also perfect and full of locals too. 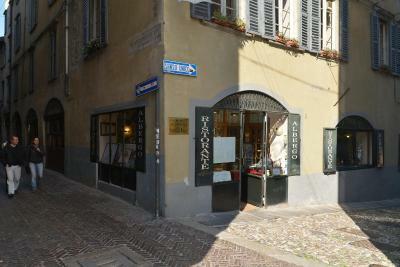 Perfect location in the hearth of Bergamo historical cetre. Staff really nice. Good Italian breakfast with fresh pastries! The hotel's location is unbeatable. The staff is wonderful and the restaurant a gem. The hotel facilities are basic but everything is spotless. 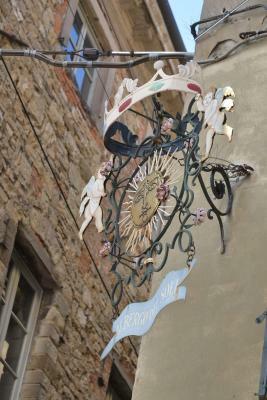 Located at the Very center of citta Alta. Perfect for relaxing stay since there is no traffic or any other noise. Croissants are perfect. Very tasty ham. I like it! 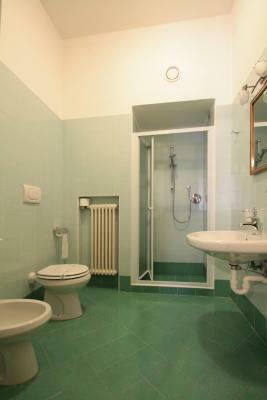 Perfectly located in the old city and walking distance to all sites. Old charming hotel and restaurant with wonderful and friendly staff. Our room has a beautiful view of the hills. This hotel makes one feel like traveling back in times. Il Sole This rating is a reflection of how the property compares to the industry standard when it comes to price, facilities and services available. It's based on a self-evaluation by the property. Use this rating to help choose your stay! 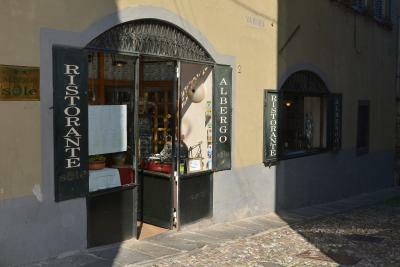 One of our top picks in Bergamo.Set in the historic Bergamo Alta area, Il Sole offers a restaurant serving traditional dishes and pizza from the wood-burning oven. The modern rooms come with free Wi-Fi and mountain views. Il Sole has excellent bus links around Bergamo and to Brescia and Milan. The nearest bus stop is 1,000 feet away. The rooms have parquet floors, a flat-screen TV and mini-bar. They feature a private bathroom with hairdryer and free toiletries. A continental breakfast including croissants, cereal and cheeses is served each morning. The restaurant is open every day except Thursdays at lunch and dinner. Offering mountain views and free Wi-Fi, this modern room has parquet floors and a flat-screen TV. ATM card Il Sole accepts these cards and reserves the right to temporarily hold an amount prior to arrival. On Thursdays, check-in is until 13:00 only as the restaurant is closed. The hotel has 2 floors and no elevator. Could do with a little bit of modernisation in the rooms, but for price paid was acceptable. 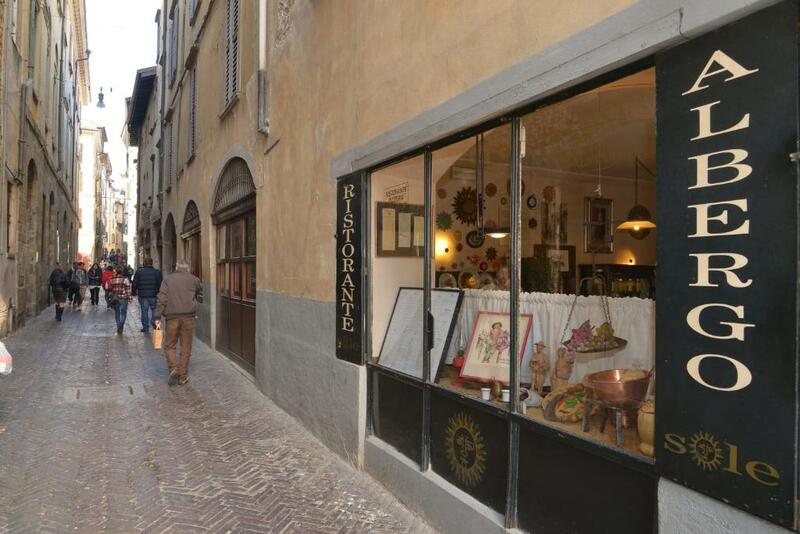 Rustic little albergo in charming setting, holds great character for Citta Alta in Bergamo! A little inconvenience was that the sink was in the room instead of in the bathroom. Wonderful location in the center of the old town. Very friendly staff and a lovely restaurant in the hotel. We would have visited him again. We had no criticisms at all. This was the second of three hotels booked for this trip through booking.com. All three were excellent, Il Sole being no exception. Location-wise it was perfect, in the centre of the historic Città Alta, next to the (very beautiful) main square. The room was basic but spacious, clean, comfortable and quiet. The staff were friendly and the breakfast good. Moreover there was an excellent (and not unreasonably priced) restaurant where we ate on both nights of our stay and also on our last lunchtime. As for Bergamo, it is a beautiful city, well worth visiting and a delight to explore. We enjoyed both halves of the city, connected by a funicular, and also the castle from which there were really stunning views of the mountains behind and the plain in front (we could see the modern sky scrapers around Porta Garibaldi in Milan, from where we had come, on the skyline). It certainly justifies an overnight stay, and we loved this hotel. Only the stairs, it was a little bit difficult to climb upstairs. May be the room`s interior is too ascetic, but given the hospitability of this place it is not that important. The moment, we came inside this magic albergo, we felt that all our problems were behind - they care about you. 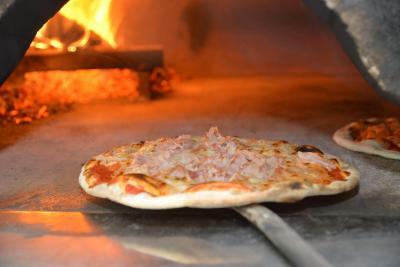 I can`t find words enough to praise the lady who greeted us with mother`s attitude.The pizza served on the first floor restaurant was the best I have ever had in my life. Elena, the chef,was very attentive and helped with the menu`s choice. Beautiful large bedroom, fabulous white bed linen, soft towels replaced every day. I had a very early start but breakfast was ready at 6.50 am which was unexpected. Wonderful, happy staff. So looking forward staying here again. Room was very basic but clean and comfy. Plenty of hot water and in an excellent location for exploring. We had a lovely evening meal in the restaurant.